On 11-15 July, NIMD visited Jordan to explore the possibilities of starting an NIMD programme in the country. 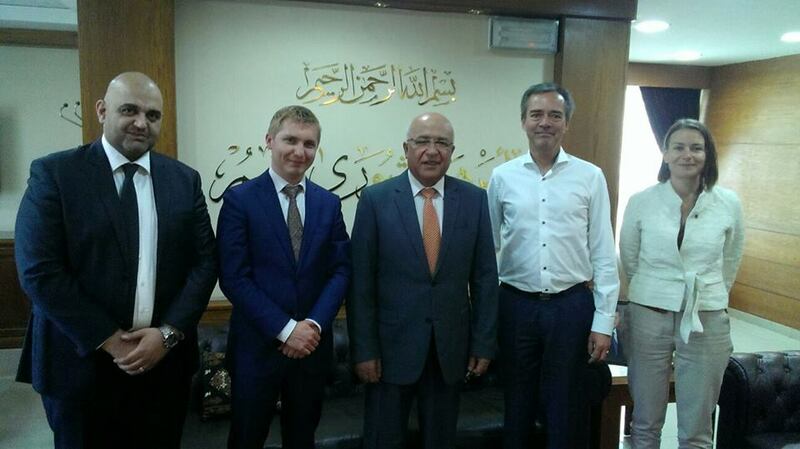 The NIMD delegation consisted of Meindert Stolk, member of NIMD’s Supervisory Board, Sylva van Rosse, NIMD’s Senior Advisor for the Middle East, and Rob van Leeuwen, NIMD Programme Manager. They met with political parties, political analysts, and civil society organizations (CSOs) to discuss Jordan’s current political s…ituation and to learn about the needs and challenges that Jordan’s political parties face. These include increasing voter turnout, strengthening party organizations, and appealing to young people. Other issues that were discussed include the new election law, the upcoming elections, the position of women in Jordanian politics, the refugee crisis, and how to address youth disillusionment with politics. NIMD delegates also met with H.E. Mr. Musa Maaytah, Jordan’s Minister of Political and Parliamentary Affairs, who explained his vision for the country’s political system. All in all, it was a very informative mission, which has given us many new insights into how NIMD might be able to contribute to building a stable democracy in Jordan. Together with our other exploratory efforts in the region, this mission will serve as input for our final deliberations about implementing NIMD country programmes in the Middle East. Pictured (from left to right): Mohammed Hussainy (NIMD consultant), Rob van Leeuwen, H.E. Mr. Musa Maaytah, Meindert Stolk, Sylva van Rosse.